Winston the adventure pup gets away with doing bad stuff sometimes because he's cute, but today he's been tasked with an unlikely chore, and has the chance to get out of the house with a friend. 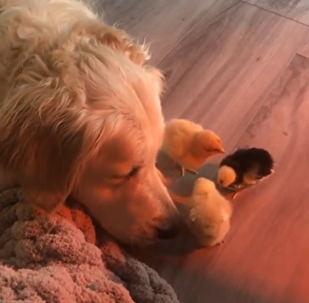 Golden retrievers run into trouble making friends with standoffish cats or lizards, but most Pembroke Welsh Corgis, despite not being the people pleasing family dogs that goldens are, are fine with other family pets. 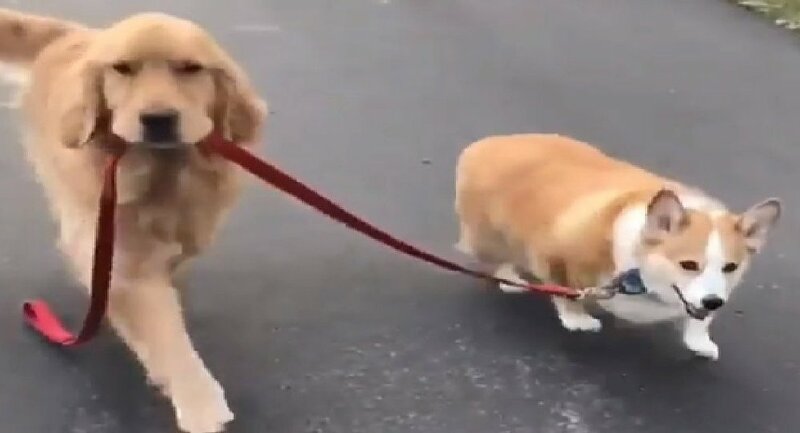 While this golden retriever has managed to evade local leash laws, his buddy is playing it by the book.